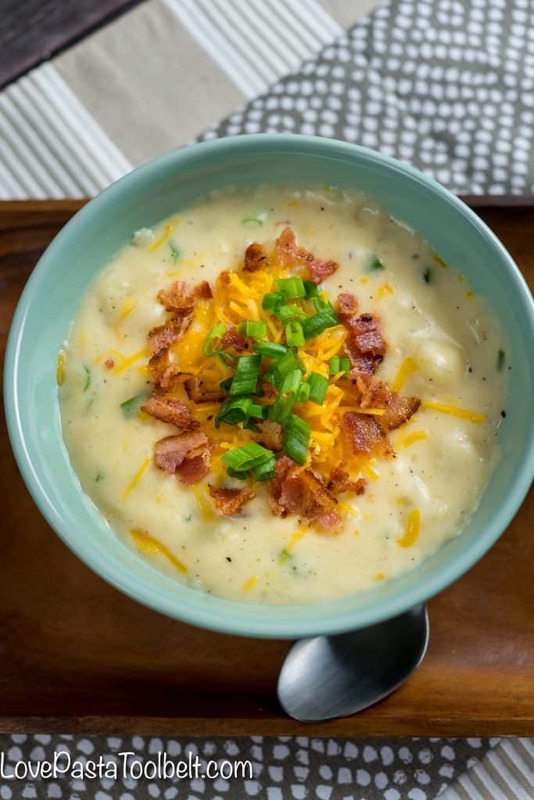 Warm up with a bowl of this delicious Creamy Baked Potato Soup. 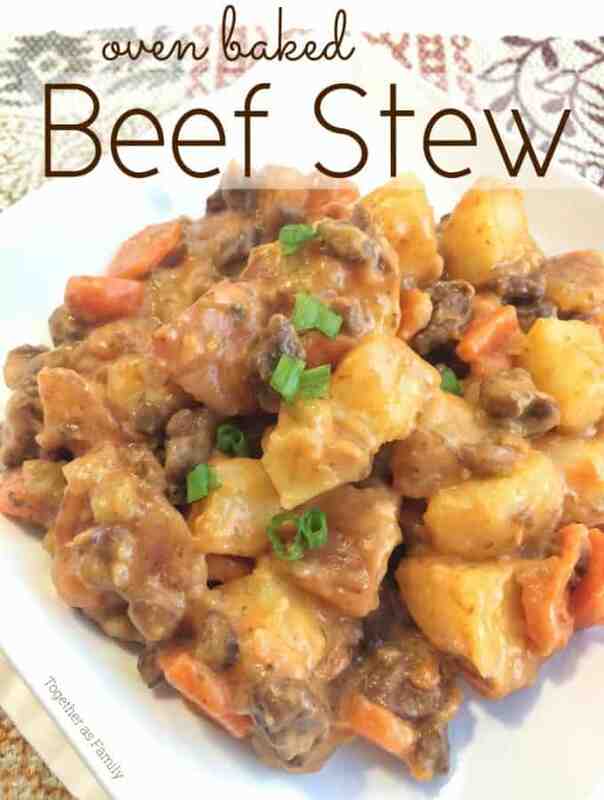 No chopping or peeling of potatoes required! Just a little prep for a delicious dinner! It is so cold out y’all. We had our first (and hopefully only) snow of the season and I’m good with it being the last. K has officially seen her first snow and she was not impressed. This is a kid who smiles ALL the time but we took her out in the snow and she would not crack a smile. We were cracking up at her. I’m totally with her. Bring me spring, summer or fall but winter is not my jam. When it’s cold outside I have certain comfort foods I have to make and one of them is of course soup. 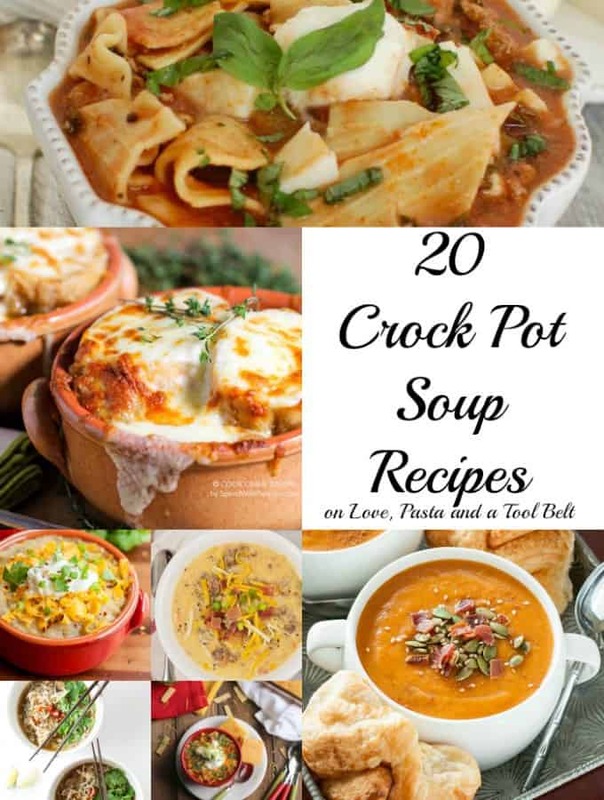 Not only soup but I love potato soup. This Baked Potato Soup is a new recipe we’ve started making and I love it for a few reasons. First, it doesn’t involve peeling and chopping the potatoes since you bake them, so much easier. 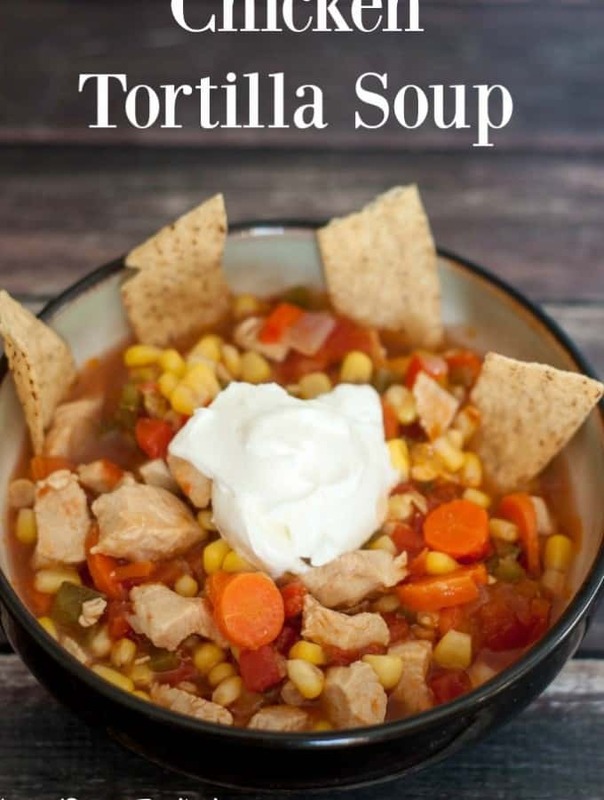 Second, it doesn’t have any canned soups in it and third it’s so delicious. 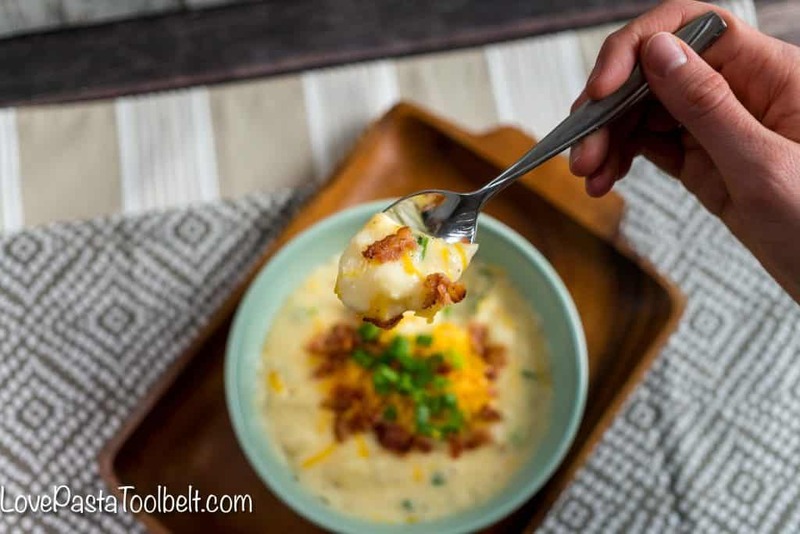 I’ve already made this Baked Potato Soup a few times since winter has come around. I made it for my sister’s birthday dinner and she loved it, my nephew was gobbling it down as well. 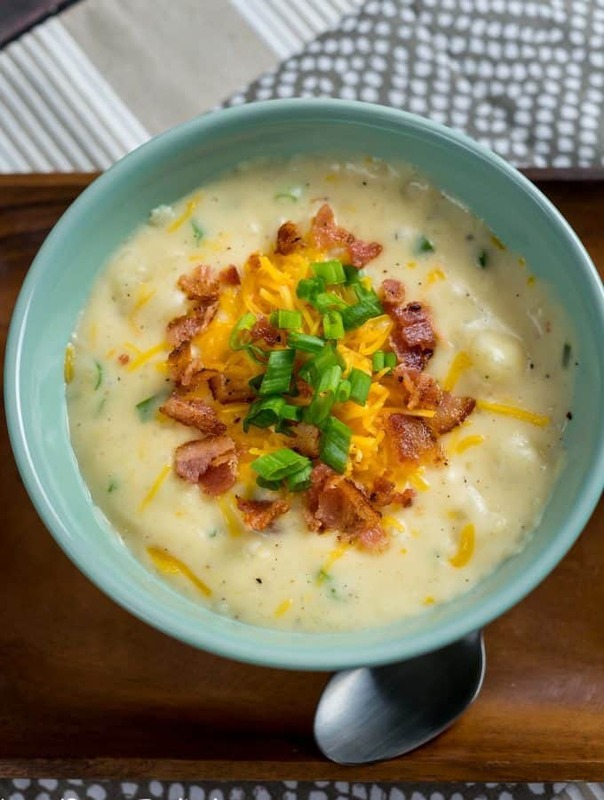 It’s perfect served with warm homemade bread and topped with extra cheese and bacon. Just fire up your fireplace or the app on your tv if you don’t have one and enjoy a bowl of delicious soup by the fire. 9. Cook until throughly heated and then stir in sour cream. Add extra milk if needed. 10. Serve garnished with remaining onion, bacon and cheese. 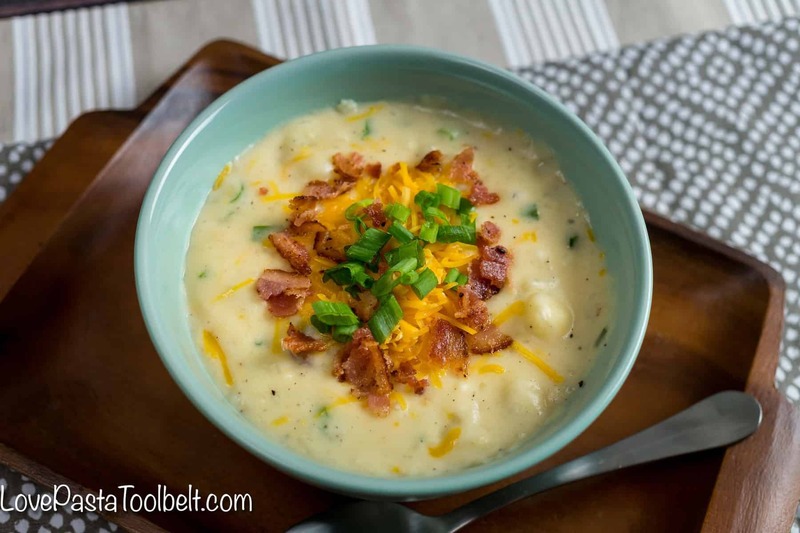 This Baked Potato Soup is definitely my new favorite way to enjoy potato soup. 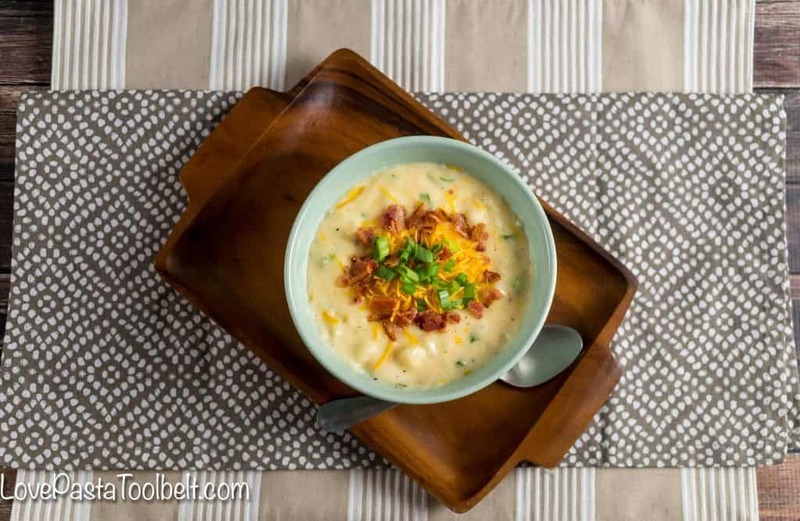 It is thick, creamy and the perfect way to warm up on a cold winter night. 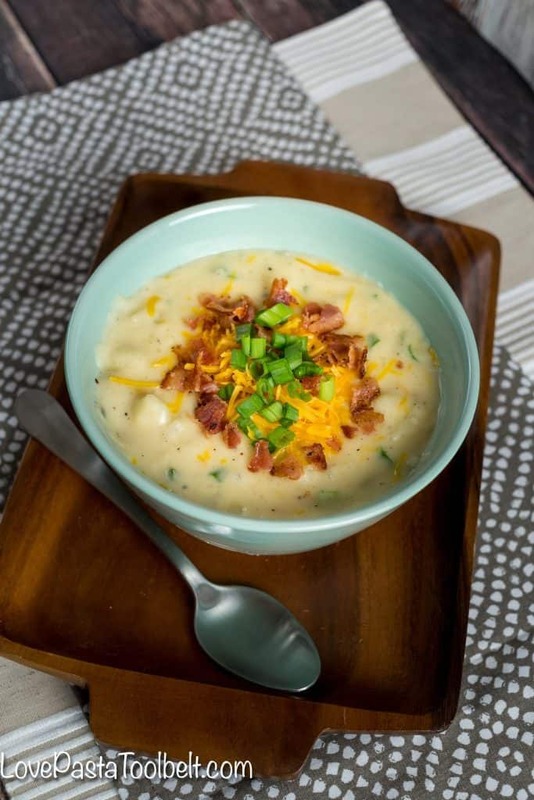 Do you have a favorite soup for a cold winter night? I love the snow! Well, from inside anyways, I don’t like to be out in it 🙂 This looks like the best dinner on a cold winter day, yum! 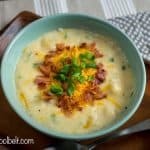 I just made the potato soup and it’s fantastic. 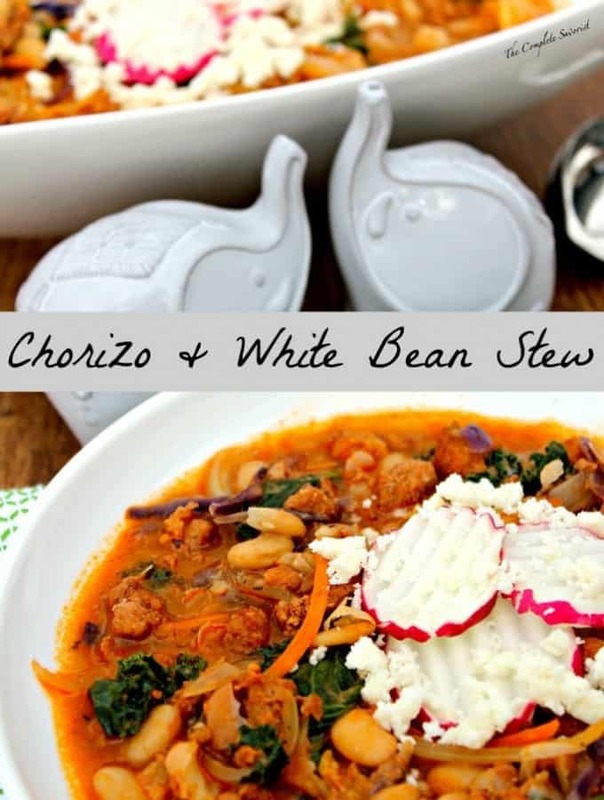 Super easy and so delicious. I just took the bacon out because my husband can’t eat it. Thank you.